The 49ers announced they have signed kicker Robbie Gould, Matt Maiocco of CSN Bayarea reports. Gould takes over for Phil Dawson, who served as the 49ers’ kicker the past four seasons. Gould, 35, appeared in just 10 games for the New York Giants last season and made all 10 of his field-goal attempts but missed three of his 23 extra-point attempts. He ranks seventh all-time in field-goal accuracy with an 85.886 percentage. He kicked for the Chicago Bears for the first 11 seasons of his career. 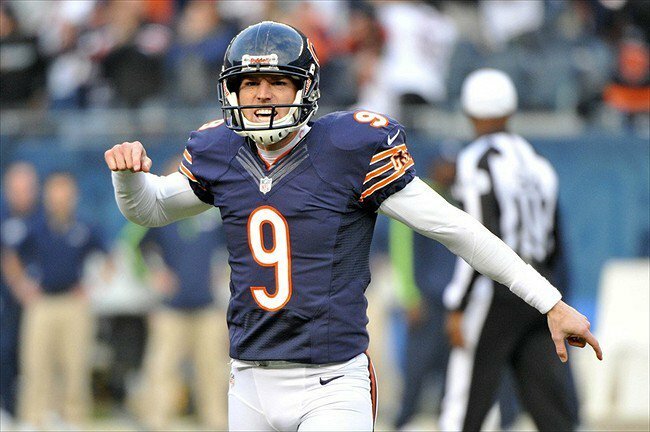 Be the first to comment on "49’ers Ink Kicker Robbie Gould; Dawson Moves on After Four Seasons"